The U.S. Imagine Cup is looking for contestants who want to take their tech inventions to the next level. The 2013 U.S. Imagine Cup is a series of competitions and challenges to encourage students to build business-ready apps, games and technology services. For the first time, the program will feature a two-month mentorship opportunity, called the “Imagine Cup Student Accelerator,” where teams will spend time with mentors, participate in workshops and get the technical guidance they need to test their idea and business models. Students 16 and older – including college students – are eligible to compete in three categories: games, innovation and world citizenship. Microsoft is offering more than $100,000 in prizes, the largest in U.S. Imagine Cup history. 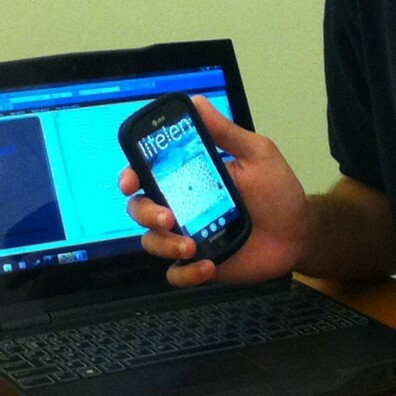 Tristan Gibeau, a UCF engineering graduate and his team, LifeLens. placed third in the world competition in 2011 with a mobile app that turns smart phones into virtual microscopes. The virtual telescopes can detect malaria from a digital snapshot of a patient’s blood sample. Registration is open at http://compete.imaginecup.com/sites/united-states. Submissions for the three major competitions are due March 15. On April 15, Microsoft will host local finals around with world, with the U.S. finals being held in Silicon Valley. The 10 Imagine Cup finalists will be invited to participate in Demo Day, which takes place May 13. From there, the finalists attending the Worldwide Finals in St. Petersburg, Russia, will be announced on May 15. The Worldwide Finals in Russia take place July 8-12.